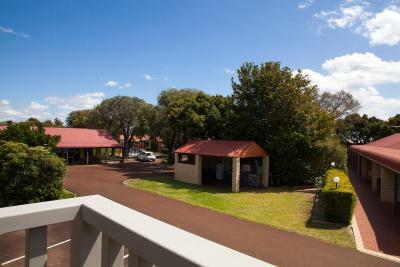 Lock in a great price for Busselton Villas and Caravan Park – rated 8.8 by recent guests! 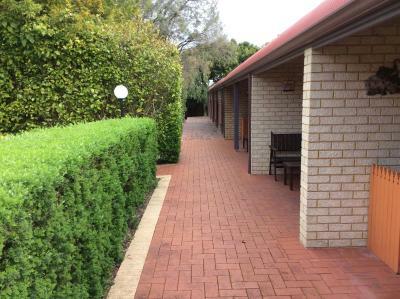 Clean and spacious rooms, great location near Busselton city. Bathrooms were good. We were there for only one night, but it was all we could have asked for. The location was fine. It's right across the street from a supermarket, and it's right on the way out of town. The staff was very helpful. The room is spacious, and the bed is comfortable. Location perfect, so central. Lovely villa, spacious with all the facilities I could have asked for. Very clean. So close to the beach. Wonderful rec room with pool table, ping pong, tv, books and games. Pool. The location is excellent, a short bike ride to main centre. The facilities are great, swimming pool is very clean. 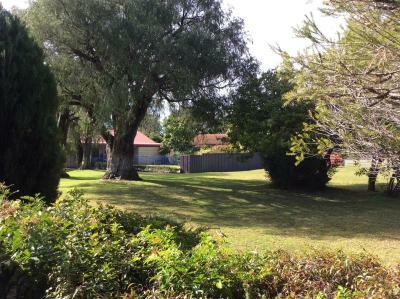 Busselton Villas and Caravan Park This rating is a reflection of how the property compares to the industry standard when it comes to price, facilities and services available. It's based on a self-evaluation by the property. Use this rating to help choose your stay! Located in Busselton, 1.8 miles from Busselton Jetty, Busselton Villas and Caravan Park has a seasonal outdoor swimming pool and BBQ area. Featuring a shared kitchen, this property also provides guests with a playground. The rooms include a patio with views of the garden. At the resort, every room is equipped with a closet. 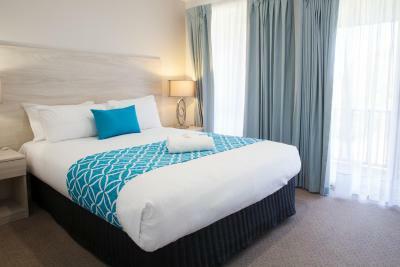 With a private bathroom equipped with a shower and free toiletries, rooms at Busselton Villas and Caravan Park also have free WiFi, while certain rooms come with a pool view. At the accommodation, the rooms have air conditioning and a flat-screen TV. You can play ping pong at this 4-star resort. 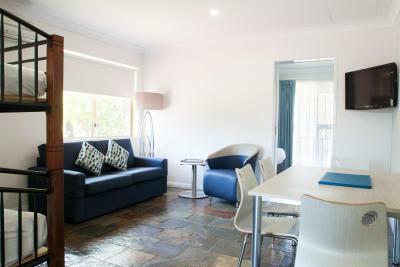 When would you like to stay at Busselton Villas and Caravan Park? This villa has a electric kettle, microwave and toaster. This studio features a balcony, private pool and kitchenware. This villa has a microwave, kitchenette and sofa. House Rules Busselton Villas and Caravan Park takes special requests – add in the next step! Busselton Villas and Caravan Park accepts these cards and reserves the right to temporarily hold an amount prior to arrival. Please inform Busselton Villas and Caravan Park of your expected arrival time in advance. You can use the Special Requests box when booking, or contact the property directly using the contact details in your confirmation. Bed was a bit uncomfortable . Rooms not very noise proof. Couldnt help hearing noise from next room. Good standard park cabin room. Nice loctaion. Every thing, very clean rooms and friendly staff. man at our door with blower earlyish on a sunday morning, very loud. Some one stole my sarong from front of room where I hung it to dry, but that's not the accommodations fault. They had a black ant issue in the unit we stayed in. They obviously new is was an issue as there was ant spray in there. It would be nice if they have fresh towels and cleaned and sprayed the ants each day. Found them everywhere in our towels due to moisture on floor in shower and they were all throughout cabin. Lots of spider webs too.